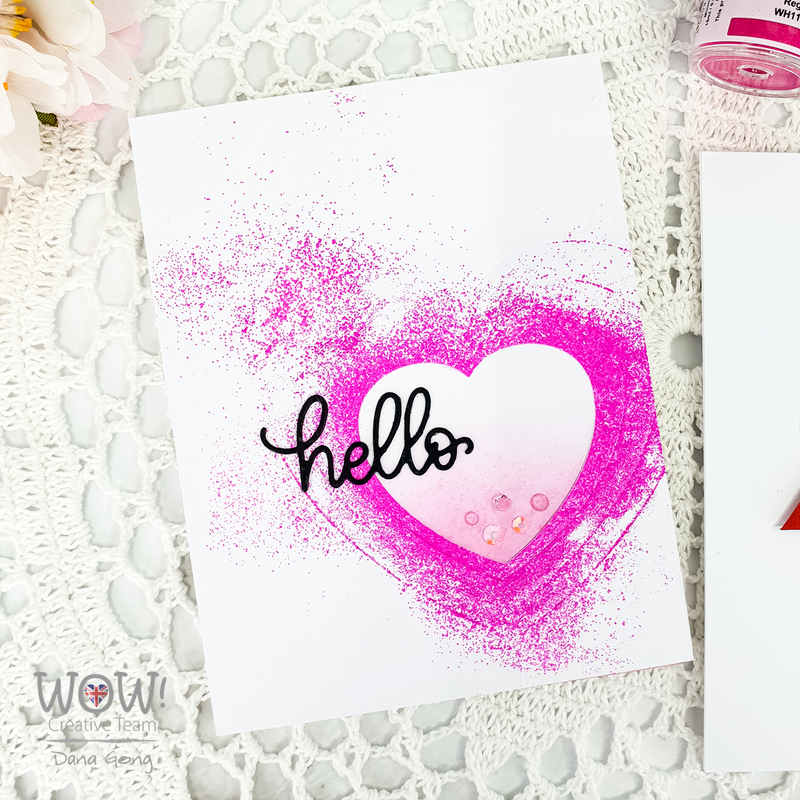 It's Dana here and I'd like to share two heart cards with you today. I featured WOW! Embossing Powder Primary Fuchsia Fusion and here are what I came up with. To start, I took WOW! Superior Smooth White Cardstock and trimmed them down in A2 size. 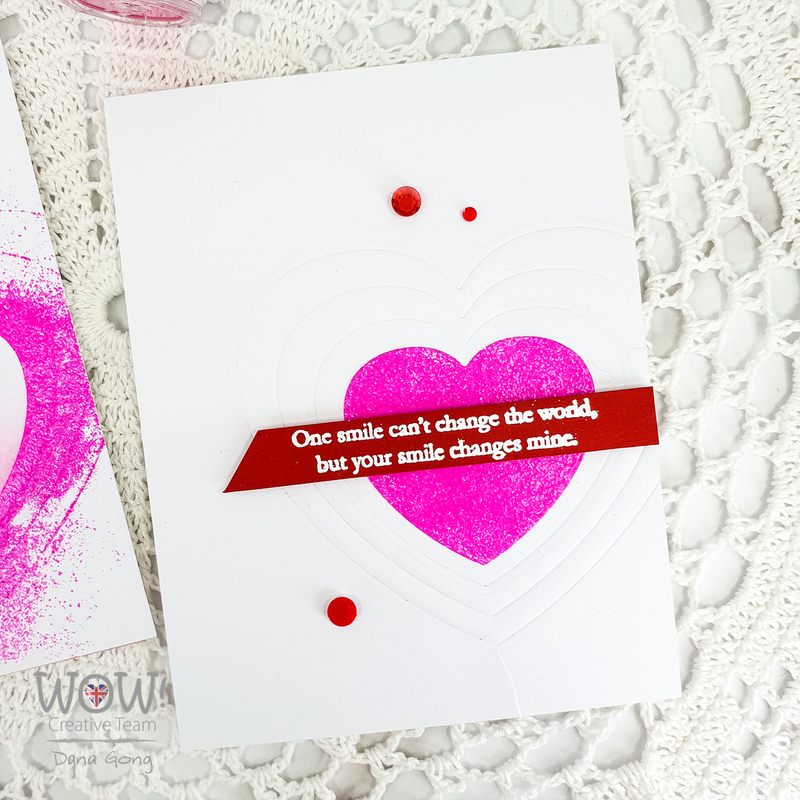 I then dry embossed each of them using heart dies from Altenew as shown in the picture. 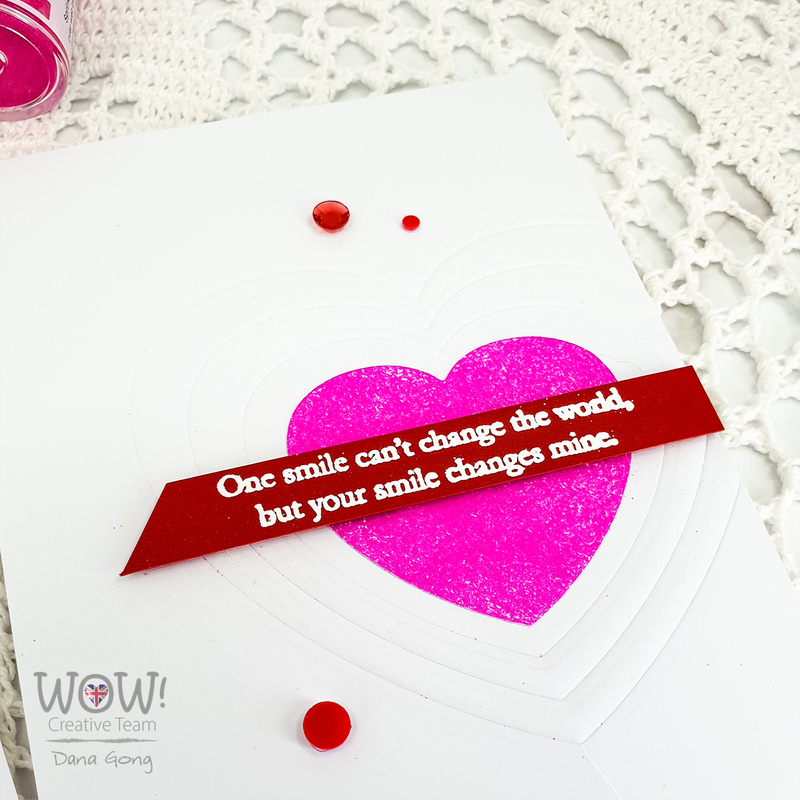 For first card, I rubbed a part of hearts with WOW! 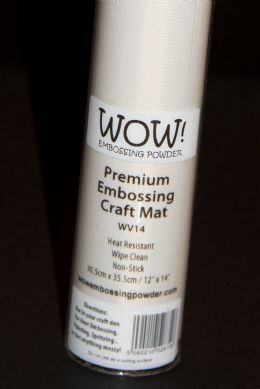 Embossing Pad and sprinkled WOW! 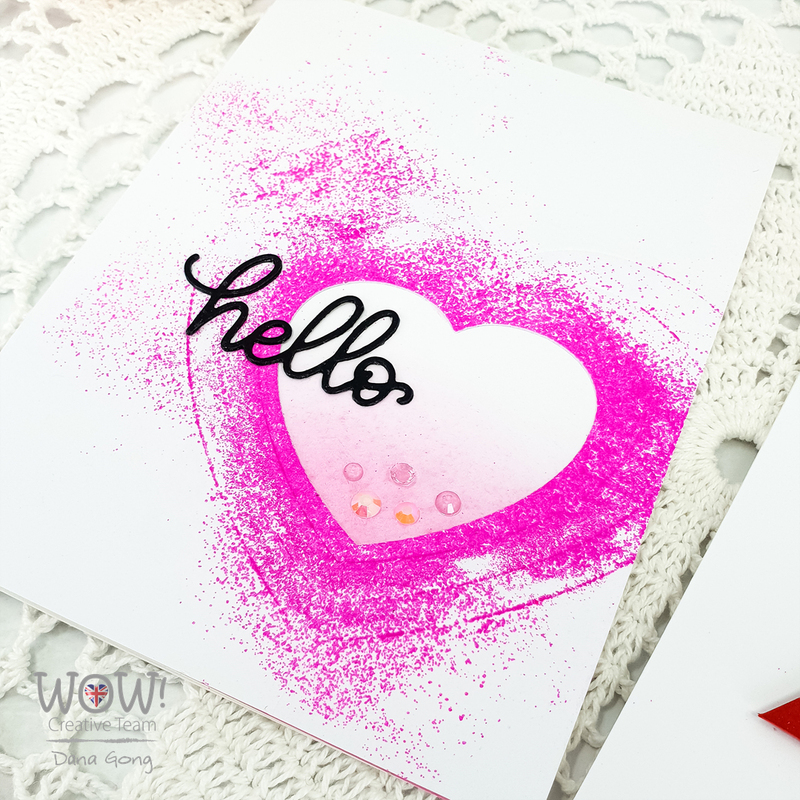 Primary Fuchsia Fusion Embossing Powder and heat set it. 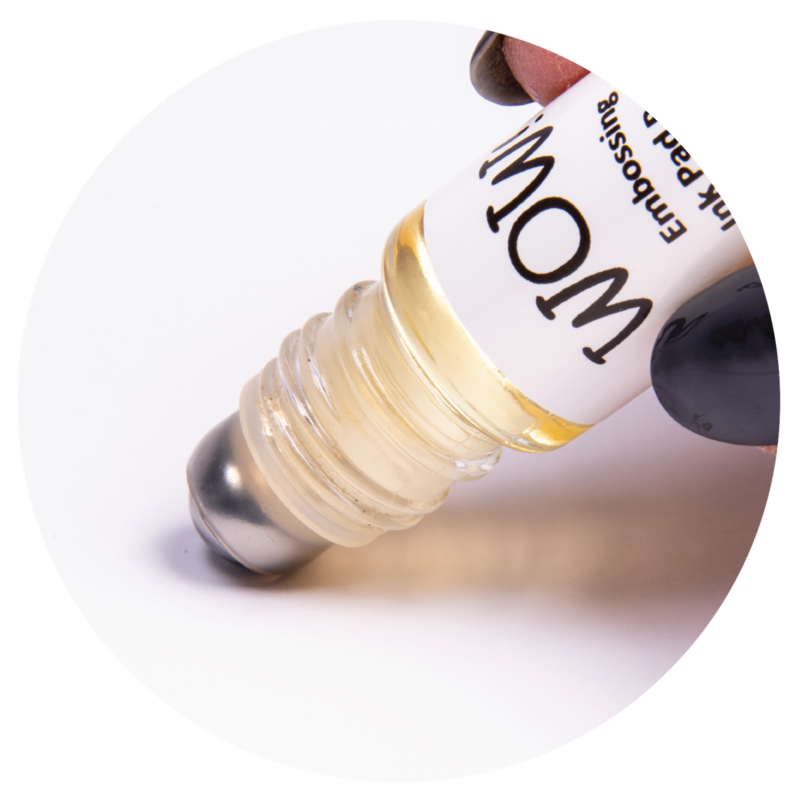 I then lightly ink blended another a piece of WOW! 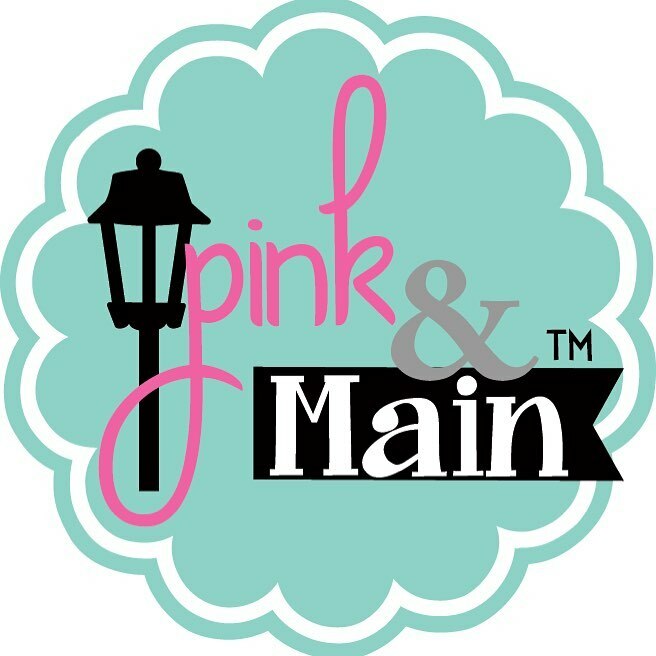 Superior Smooth White Cardstock with Picked Raspberry Distress Oxide Ink. I mounted it onto white card base and covered it with heat embossed panel. 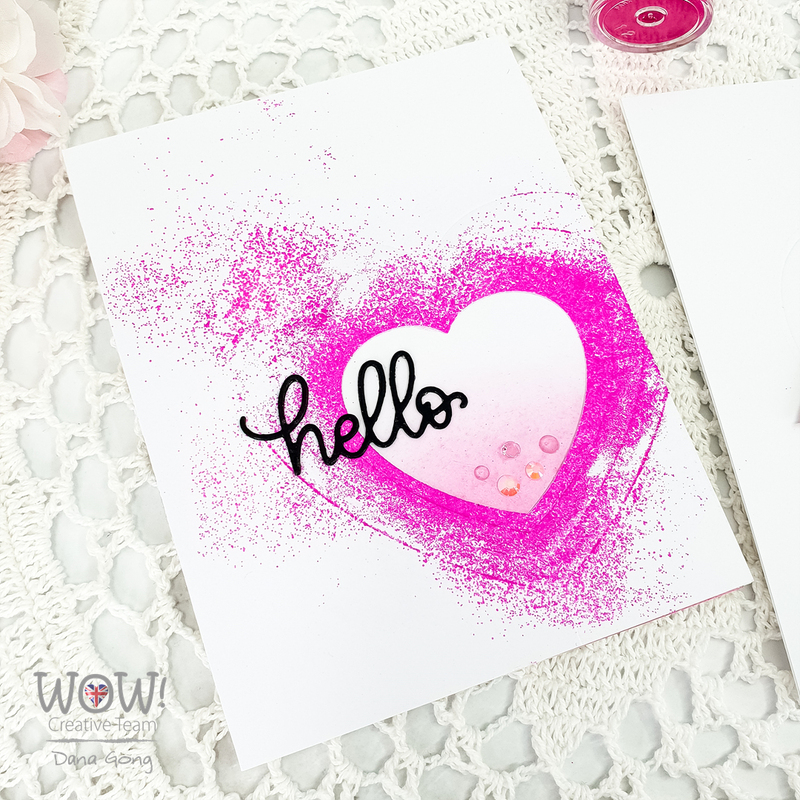 I die cut two pieces of 'hello' from black card stock using Simon Says Stamp Hello Beautiful Gorgeous. I glued them each other and adhered it where I wanted them. As a final touch of this card, I embellished with Studio Katia October Crystals. For next card, I used negative piece of heart from my first card. 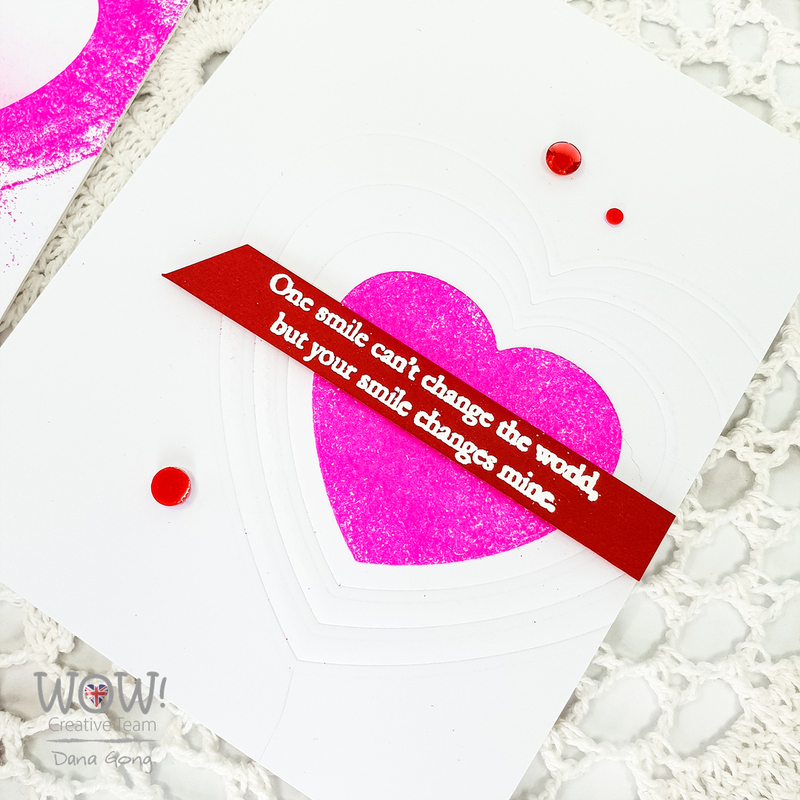 I heat embossed a sentiment from Altenew Just Because Stamp Set onto red card stock using WOW! Opaque Bright White. I then cut it with craft knife as shown and popped it up using foam adhesive. To finish off, I adhered Studio Katia July Crystals here and there. Hope you enjoyed today's cards. Thank you so much for joining me today!